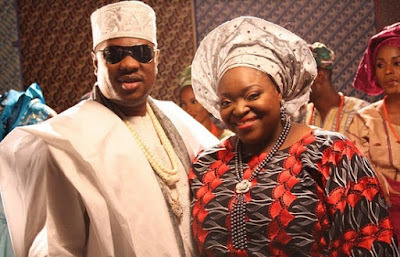 It is a season of multiple celebrations for musical couple, Tunde and Wunmi Tunde-Obe, popularly known as T.W.O. While Tunde has attained the golden age of 50, the band that has become a point of positive reference and a source of inspiration to many people is also 30. To triple the treat, Tunde and Wunmi’s marriage is 20-year-old. The duo are therefore in high spirits and are poised to mark the landmarks in a beautiful way. At a briefing held on Wednesday at Protea Hotel in Lagos, to kick off the 30th anniversary, Tunde noted that turning 50 was a remarkable achievement to him as he surged through life’s hurdles. “At a time where people are not really living long in Nigeria, turning 50 is a big deal to me. My father died when he was 46 while Wunmi’s father died at 49. So, I’ve outlived both our parents and, for me, that’s a major thing,” Tunde added. On how they have managed their family and music career, he said, “Family comes first and I’ll gladly drop music if I had to choose. However, I’ve been able to combine everything and its working well. “I’m glad I’m still here and, as for the 30 years of T.W.O, in every relationship, there will be ups and downs, but I want to assure you that Wunmi and I have never put separation or divorce on the table. It is not something we’ll ever discuss. He noted that the successful union of he and his wife had proved those who would not give celebrity marriages any chance wrong. Besides, he explained that the problems that many marriages experienced were not limited to the world of celebrities. » Lampard receives OBE at Buckingham Palace.